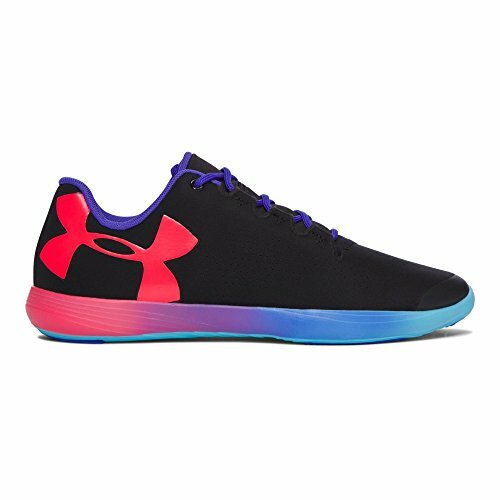 The Under Armour® Kids UA Street Precision Low OM is a shoe that your child can wear on-the-go, in class, or even as a training shoe. Versatile and sleek, this shoe has it all! This brand is a member of the Sustainable Apparel Coalition. Textile and synthethic upper is flexible and lightweight for a sleek and sporty look. Two-toned lace-up webbing system keeps foot locked-in. Ultrasonic welded seaming with Bemis tape delivers close-to-skin support. Smooth textile lining for a good wear in shoe. Molded 4D Foam® footbed molds to your foot's natural shape. Low and lightweight midsole offers comfort and stability. Strategically placed rubber cushioning on high wear areas increase traction. Rubber outsole. Imported. Measurements: Weight: 6 oz Product measurements were taken using size 7 Big Kid, width M. Please note that measurements may vary by size. The Under Armour® Kids UA Street Precision Low OM is a shoe that your child can wear on-the-go, in class, or even as a training shoe. Versatile and sleek, this shoe has it all! Textile and synthethic upper is flexible and lightweight for a sleek and sporty look. Two-toned lace-up webbing system keeps foot locked-in. Ultrasonic welded seaming with Bemis tape delivers close-to-skin support. Smooth textile lining for a good wear in shoe. Molded 4D Foam® footbed molds to your foot's natural shape. Low and lightweight midsole offers comfort and stability. Strategically placed rubber cushioning on high wear areas increase traction. Rubber outsole. Imported. Measurements: Weight: 6 oz Product measurements were taken using size 7 Big Kid, width M. Please note that measurements may vary by size.